Behavior change is not for the faint of heart! They take action for the wrong reason. Metrics such as numbers on a scale or vague threats from doctors regarding potential future health consequences are what we can call external motivation. If a change does not inspire you, excite you, or touch something meaningful within, you’re barking up the wrong tree. When the action is so important you can feel it—that’s an intrinsic motivator. Changes that are motivated from within are the ones that stick. They act before they are ready. Achieving meaningful change requires planning, preparation, and a strategy for overcoming inevitable setbacks. The problem with going directly from thinking about making a change to taking action is that it fails to reflect the importance of first being emotionally ready, confident, motivated and prepared with well-defined, small, and progressive steps. What creates big successes is a compilation of small victories. What creates small victories is a well-defined big picture broken down into steps that can be defined, quantified, and set to a realistic timeline. When it comes to building a healthier lifestyle, resolving to work with a Health and Wellness coach can be the one resolution that nets big payback. H&W Coaching is a client-centered process. You determine the best course for change based on everything you know about yourself. As your coach I support you in defining your ideal vision. I also help you to break a big change down into doable specific steps. We’ll create a realistic timeline and strategize around inevitable setbacks. Just as important, I’ll be your accountability partner, helping to keep you on your chosen path. Together we’ll identify ways to reinforce, maintain, and acknowledge your successes big and small. And we’ll factor in personal quirks, learning style, and avoidance tactics to support a more successful outcome. I am a total believer in the power of coaching. 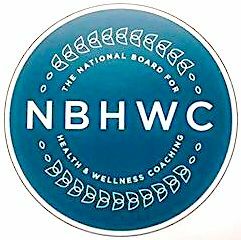 As such, this past September I sat for the first ever national board exam administered by the International Consortium of Health and Wellness Coaches and the National Board of Medical Examiners. I passed – woohoo! That puts me in a pool of just a thousand practitioners across the country currently able to display this logo. I’ve also got some new letters after my name: NBC-HWC. 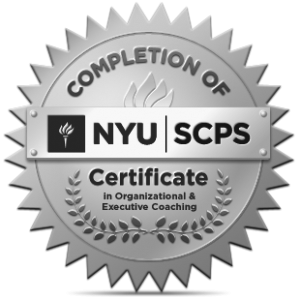 I feel so confident in this process, and so ready to help others achieve their goals using these tools. So much so that I’ve decided to offer a big fat discount if you’re motivated, ready, and excited about the future. 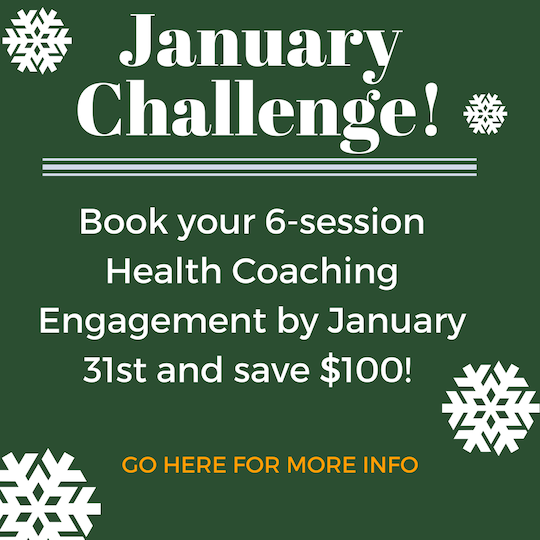 Book and pay for a Health and Wellness coaching engagement by January 31st, for sessions that begin by February 15th, and I’ll knock $100 off the cost! If there’s something you’ve been meaning to do for a long time and excuses have gotten in the way, seize the moment and go for it. I promise we’ll have some fun along the way! Go here for more info and to sign up.